Someone recently asked me about what I do as an executive coach. It was a great question and at the same time created space for me to reflect on what I believe is the value of having a coach …. whether it is me or someone else. There are plenty of us to go around. As a coach, I rely on my values to lead my coaching practice to help leaders be as successful as they can be. In Brené Brown’s latest book, Dare to Lead (shout out for an incredible read), Brené speaks of two of her values and how they help her navigate everything in her life. It caused me to think about two values that everything seems to revolve around for me. Service and faith show up resoundingly in my space. When I speak of service, I am drawn to the work of Robert Greenleaf and being the servant, which he refers to as Servant Leadership. The essence of servant leadership is to first be the servant. The servant-leader puts the needs of others first and helps people develop and perform as highly as possible. It is the authentic demonstration of putting other’s needs first and always before your own. When I think of service as one of my values, especially as a coach, it means that I am in it for me … last. As I go back to the first question in this blog about what do I do as a coach, the answer is simple …I serve. I am not the provider of answers or solutions or the person that will deal with the difficult issue. I am the trust partner for the individual to help them navigate whatever runway they are on and how to help them arrive gracefully at the gate with clearer direction, powerful goals and a more definitive purpose. I am here to serve. Whatever it takes … drive time, airplane time, early morning or a late night coaching chat, serving feeds my passion. The other value that holds me in check with everything is my faith. Faith is my foundation for life. It is what grounds me and at the same time keeps me reaching for whatever is out there for me. 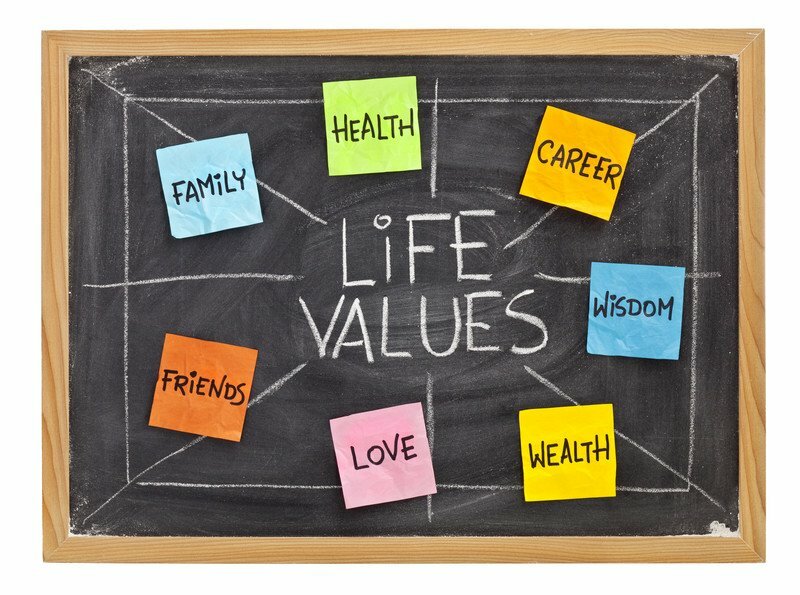 So many other values that are important to me…. compassion, responsibility, family… and yet, all are gracefully guided by my faith. I am a better coach because of my faith. I’m a better wife, mom, friend and colleague because my faith puts everything in perspective for me. Faith helps me navigate my path, even when it has many curves and bumps. And so, I ask, if you had to think of the two values that help you navigate everything, what would they be? And why? Of course, it would be easy to have a list of 5 or 7, but what if you could only pick two? It is a great exercise to take yourself through and a wonderful opportunity for self-reflection.